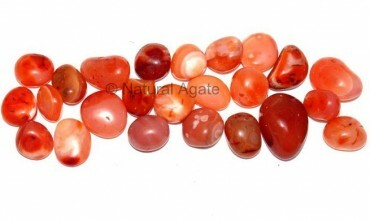 Red Carnelian Tumbled Stone from Natural Agate is available in sizes ranging from 15-35mm. Your communication skill and analytical skill get better in the presence of this stone. This lovely stone keeps you away from any bad and abusive habits.